Recently my wife, Christina, read an email message to me from one of the readers on her website, Overcoming Sexual Abuse (overcomingsexualabuse.com). Among other things, the email recounted the hypocrisy she saw in church leaders who turned a blind eye to evidence that her father was abusing her. Rather than taking action to protect an innocent child, they chose to avoid any uncomfortable confrontation or conflict that might bring them negative attention—and which would certainly alienate a man whose support they valued more than truth. The woman, believing that God had no interest in protecting her, fled from the church as soon as she was able to. For a time she became an atheist, and then she delved into a variety of spiritual disciplines. She wanted nothing to do with the church. Such is the fruit of silence. Such is the fruit of refusing to be silent. As I read her words, tears filled my eyes. I consider it an honor to be part of the process. To know that I have made a difference in someone’s life more than validates the decision to end silence and begin speaking. The emotions of the moment also prompted some reflection on the value of speaking up. I have been speaking out when I see abuse more in the past few years than the rest of my life combined, and there is now enough of a track record to assess the benefits and the challenges of open expression of truth versus conciliatory silence. I’ve learned a few things through my experience. Lesson 1: Silence is a primary tool of concealment, and is usually implemented by whatever means are available, no matter how unethical they might be. The most immediate lesson is that the phrase, “Silence is golden,” is most often spoken by people who have ugly things to hide, attitudes and behaviors that they want neither exposed or changed. Silence is the golden goal of abusers, liars and criminals. The reason is simple. They don’t like having their corruption brought to any kind of accountability. Any time a leader preaches that silence is golden, there is likely something sinister to hide. I could not ask for a more blatant illustration of the tactics of silence than the efforts by Tom Anderson, my former pastor, after I began speaking about my experience with his ministry. Attempts have been made to intimidate, threaten, shame, bring pressure through family, and bribe me into silence. A few years ago, when I first started writing about abuses I had seen in the Prosperity Message during my years on the church staff, I received a direct phone call from Anderson, in which he assumed as intimidating a tone as he could muster and demanded that I stay away from his leadership. That call was followed with a special staff meeting at the church, a special letter to all the pastors and elders of the church, and a special mini-sermon the following Sunday before the offering, all warning people that they should stay away from me. The following week, I received an email from my mother-in-law, Mary Schamer. Mary is on the staff of Anderson’s church. In part, the email said, “When you encourage these teachers to teach your material you jeopardize my position and job.” To put that in context, you should know that about a year earlier, Mary said pretty much the same thing to her husband, Fred, and which she later told Christina was not true, but a ploy suggested by the pastors to keep Fred in line. In other words, the one exposing his wrongdoing is the bad person, not him. Keep quiet or you are a murderer. Lesson 2: Silence turns people away from God. At the beginning of this post, I described a woman who, because church leaders kept silent about the abuse she suffered from her father, left the church and turned her back on God, convinced that God had turned his back on her. Fortunately she is again finding her faith. Unfortunately, her story is not uncommon. I have watched as one woman ran crying from a church service less than five minutes into the worship. She could not stand the emotions that welled up in her every time she entered a church building. A man I know absolutely refuses to even visit any church ever again because of his disgust over the abuses that he witnessed during the first half of his life. Another friend, visiting a church program in which a relative was performing, had to summon every ounce of self-control to keep from running out of the building screaming. After a long absence from church, the familiar surroundings brought back memories of how badly she had been treated. Another friend has avoided church for half a century because his father, who was a pastor, regularly and violently beat him throughout his childhood. Over the past few years I have communicated with dozens of people who have left church and turned their backs on any relationship with God because of the actions of church leaders. Some leaders are abusive themselves. Others go out of their way to protect abusers in order to maintain an image of unity and to avoid offending people who give large tithes and offerings. Even those who don’t reject their faith still find it very difficult to ever trust leadership again, greatly hindering, and often preventing, any chance of involving them actively in the life of the church. These examples stand in stark contrast to the accusations leveled at me that by exposing corruption I am attacking the church. If the church is the people, then the abuse itself is the real attack, not the exposure of the abuse. Lesson 3: Speaking out gives validation to victims. I have already illustrated this with the email I quoted at the beginning of this post. The words, “I saw a pastor who could both believe in Jesus and also call out the BS,” illustrate the power that standing for truth can have in giving life and hope to people. Fortunately, this woman is not the only one reconnecting with faith I have heard from. In fact, I receive comments from people on a very regular basis, now that I’m speaking openly. People who have lived their lives in an abusive system have been told repeatedly that they are the problem. If only they could be better, then the abuse would stop. When they finally come out of that system, they almost invariably deal with feelings of guilt over things done to them, as though they could actually have done something about it. Hearing someone else speak the truth is often the only way they can find assurance that they are not alone, that they are not to blame and that they are not crazy. What was done to them was indeed wrong. I’ve been amazed to discover how deeply victims are inspired by seeing someone stand up to the lies. Lesson 4: Speaking out gives voice to those who have no voice. The email that I quoted from at the beginning of this post is one example of many messages I have gotten from people who found hope in the simple fact that someone voiced their concerns. When I began speaking out, I was genuinely surprised by the number of people who thanked me. Most of the time, their comments fell into two categories. Some felt anger at the injustices they saw, but felt so isolated that they never felt speaking up would do any good. All they needed was one other person to say something, and they were instantly ready to join their voices and share their stories. In fact, it was hearing a few other people speak up that gave me the nudge to begin speaking myself. The other, much larger group, is those who had been convinced by the church leadership that they have no choice but to keep quiet. They have been told for their entire lives that God will punish them if they disrupt unity, that any criticism is an attack on the church and an attack on God. They have had it drilled into them that they are really the problem, not the leadership. In an effort to fit in, that is, to avoid being cast out, they show up every Sunday with happy faces held on by phony smiles, and they do their spiritual duty. Duty becomes a means to cope. They feel pain, but that is identified as the flesh dying, and their spiritual duty requires destruction of the flesh. The part of their inner person that recognizes something is terribly wrong and wants to cry out is silenced by their own efforts to gain the approval of the abusive leaders. For these people, freedom has come from the realization that they have been lied to and that they don’t have to subject themselves to the control and manipulation that has characterized their spiritual lives. They have been trained to stifle their own voice, and need others to voice their frustrations for them in order for the cause of their frustrations to become conscious. Lesson 5: Speaking out helps to prevent further abuse. Silence allows a sexual predator to maintain an environment in which he can continue to prey on his victims without hindrance or obstruction. As long as all members of the family or the circle of influence are convinced that silence is their only option, no one will ever challenge the abuse. And it will then continue uninterrupted for as long as the abuser desires. Likewise, silence allows a spiritual predator to maintain an environment in which he can continue to prey on his congregation without hindrance or obstruction. As long as members of the church family are convinced that silence is their only option, that God will be angry with them for accusing the anointed man of God, then the abusive practices will not be challenged. And they will continue uninterrupted. It turns out that truth is golden. At best, silence is fool’s gold. Do you have an additional thought on this subject that will assist our search for truth? Please join the discussion and share your insights. Well said! Thanks for reminding us all that silence in the face of evil is evil. And that truth is golden, not silence. Glad that you have taken the time to develop this topic in this article. You have given people some good thoughts in order to help them to process these issues. It is important for people to speak out on these topics. It is necessary to be another voice since the need is great. Keep at it! Thanks Barb. Spiritual abuse is such a widespread problem, and does so much damage to so many people that it’s always good to find others helping to expose it and bring healing to victims. Thanks for your kind words and for your efforts as well. Hi Don. I understand and agree with you regarding your topic, but I have a question about the general rule: Silence is Fool’s Gold. As in Proverbs 26:4-5 (“Answer a fool… Answer not a fool…”), it seems that the way you applied your Silence rule is perfectly right for your message, but in another application, Silence is Wisdom. In politics, we hear bitter rancor. One person thinks the opposing political party is evil and harmful. He speaks up and calls it satanic. On the other hand, another person in the other party thinks the same thing about the first person’s political party, and he speaks up, too. We should speak up about and against evil – as you said – but too many people equate evil as anything they did not think of first. They also call evil anything that does not agree with their religious doctrine, although they themselves could be the ones in error. Too many people assume or interpret another person’s actions as evil when they don’t have all the facts. When they speak up against the other person, it’s called Gossip. As I said, I agree exactly with what you said, in the application you gave. I am simply uncomfortable with the inference I made that you presented a rule that is supposedly always true in everything. Jerald, you have brought up a point that I completely agree with. Largely for the sake of keeping the post at a readable length, I did not address it, but I’m glad you brought it up. And your explanation is excellent and well presented. You have narrowed the parameters. My statement is specifically related to those who do harm to others and then try to avoid any accountability or fall out from their egregious actions. This relates to people such as child molesters. Anyone who becomes aware of the abuse of a child (or an adult for that matter) and simply ignores it without making some effort to put a stop to the evil is in effect participating in the evil. Such a case is probably pretty obvious, and of course, because of my wife’s involvement with victims of sexual abuse, that kind of example is always prominent in my thinking. But the same principle holds true for other, sometimes not quite so obvious cases. The current scandals in the political world show that it can have other implications. How many people at the IRS, for example, knew of abuses of power in targeting political groups they didn’t agree with? How many people in the Department of Justice knew of similar abuses of power. The subject is often complicated by the fact that having knowledge does not always mean you are in a position to speak up. In high level political situations, historically there have often been cases when speaking up could lead to actual death. Bonhoeffer is a good example, and thus it is not safe to judge people who keep quiet with broad strokes. Mitigating circumstances often come into play. Victims of child abuse are rarely in a place where speaking out is safe. Which is why it becomes even more important for others to give voice to those people. 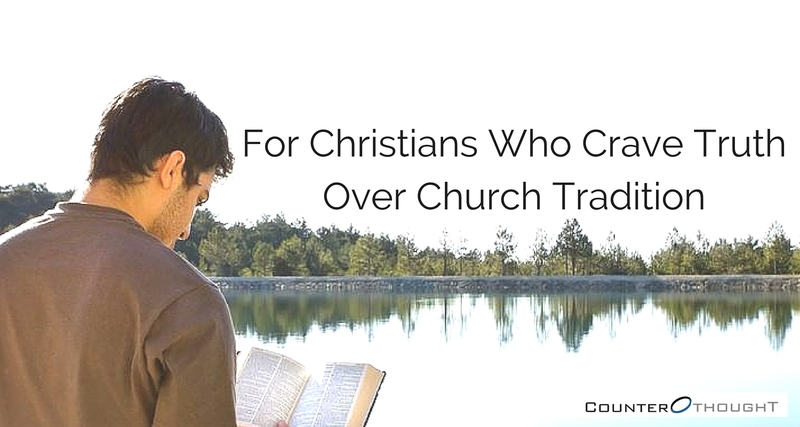 Church leaders in particular have a responsibility to do so. Which is a big part of why I’ve begun to say the things I say and to specifically name leaders whose crimes I have personal knowledge of. Wisdom requires that accusations be made in a way that the inevitable backlash can be withstood. For example, I will be speaking in the future about church leaders who have illegally misappropriated funds, who have told egregious lies about former staff in order to justify firing them, and leaders who have made it a consistent policy to protect child molesters. Before saying some of those things, however, I should be prepared to take it up in a courtroom, since those kinds of leaders don’t like being challenged. It is a fact of life that they will respond in whatever way they can to get you to shut up. All of that to say that I think the distinction you make, Jerald, is that simply always blurting out the truth isn’t the point. The examples you give highlight those times when speaking the truth doesn’t do anyone any good or when it simply harms someone without any reason. And I like what you said about people always thinking their opinions are true and someone else’s opinions are extremely harmful. We do need some wisdom sometimes. We see this, as you mentioned, in politics all the time. So rather than try to reiterate what you’ve already said so eloquently, I will thank you for your comment. We can only, in my humble opinion, love God fully, when we commit to breaking free of all lies. So true, Kylie. I am amazed at the degree to which abusers and abusive systems cling to lies. The fear of being exposed in any way drives such destructive behavior. Thanks for your kind words, and it’s always a pleasure to connect with people of like-minded integrity. Keep up the good work and together we shall bring light to many dark places. As Jesus said, the truth will set you free. Just came out of an abusive church system for speaking up in Nigeria. It’s quite prevalent here and has been off concern to me. I needed to read this series. It was enlightening. I hope it was helpful. I guess the similarities in the challenges we face in ministry are remarkable, regardless of the country or the culture. Human nature is pretty predictable. I’ll keep you in prayer.